1.1 How long is the delivery time? We ship the most of our parts directly from our own warehouse. (TM Original Parts) After we received the payment, the parts will be shipped within 1-2business days. Delivery time depends on the location, but it will be around 1-3 business days after the parts are shipped. 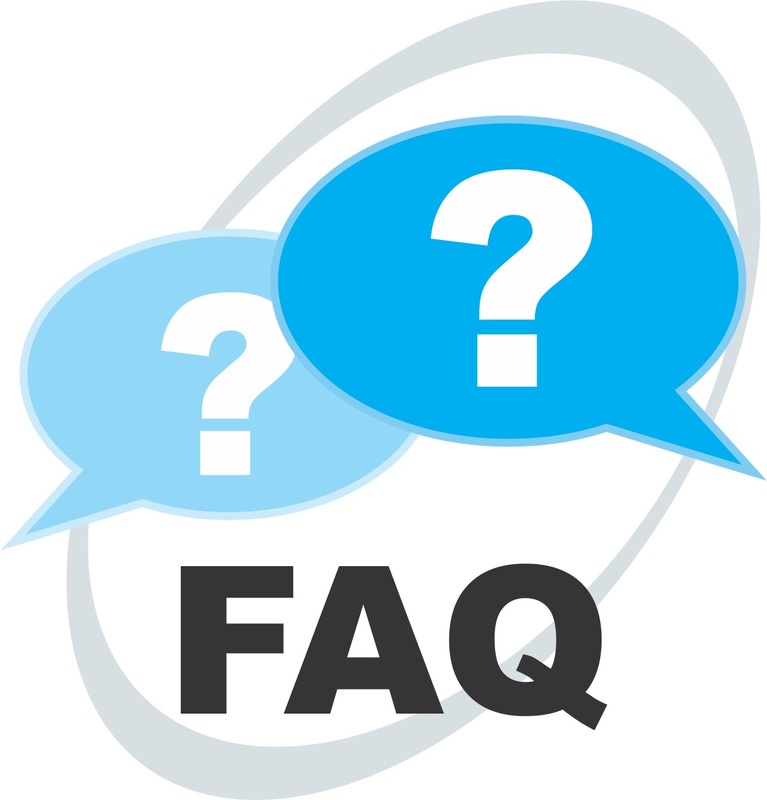 Other parts that are not at stock will have a delivery time of 2 - 5 business days if our supplier has them at stock. 1.2 How can i change or cancel my order? If you placed an order and you want to change something, please contact our customer service. 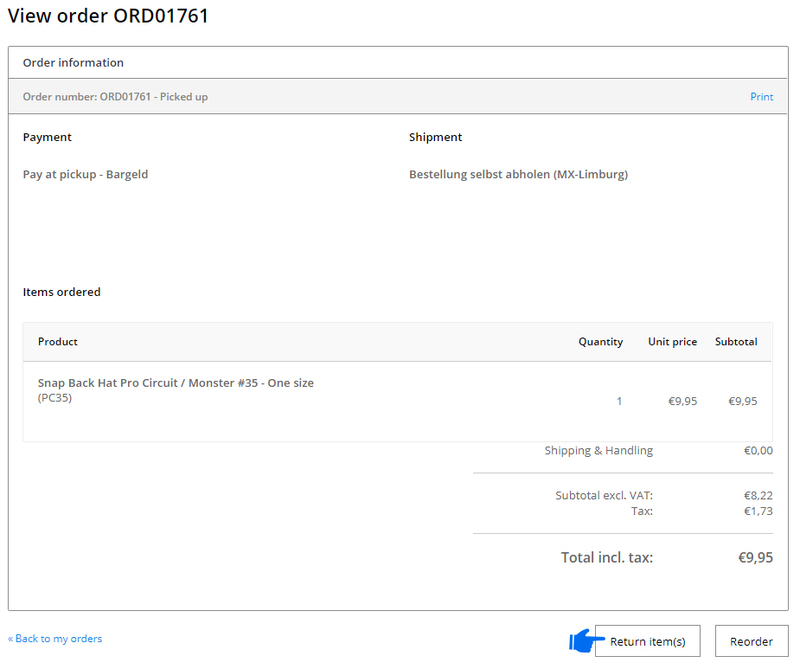 This is only possible, if the order isn't shipped yet. Is the order already shipped and you want to send it back, contact our customer service. You can always return your order within 14 days, without giving a reason. We will refund the money to your bank account. 1.3 What to do when your order is incorrect or incomplete? Everybody makes mistakes. To make everything ok again, you can call us or fill in our contact form in our costumerlist. We will then immediately provide the solution! We ask you to check out or the contents of your packet corresponds to the bill. If it isn't so, you have to check your order. You can find your order in your confirmation e-mail. 2.1 In what ways can I pay? Payment can be safe, easy and quickly in a variety of ways. 3.1 How much shipping costs do I have to pay? 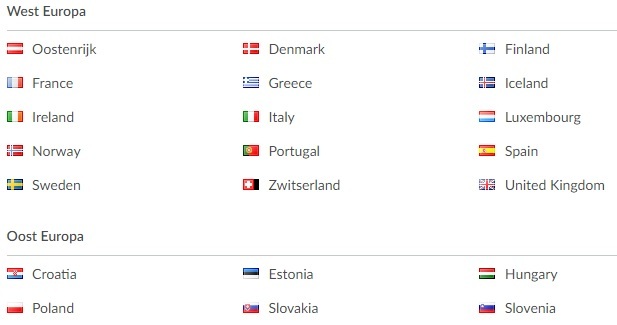 We send our orders within the Netherlands via UPS. We send our orders within Belgium via UPS. We send our orders within Germany via UPS. 3.2 What happens when I am not at home during the delivery? If you are not home when UPS comes, then UPS decides what happens to your package. Often he hand it over to the neighbors or is again offered at the next delivery day. The deliveryman leave (almost always) a note in your mailbox. Did you not receive it? Then check out your Track & Trace code for more information! If you are not home on the 2nd delivery, UPS brings the package to the nearest UPS access point. 3.3 How can I track my shipment? Once your order has been shipped, you will receive an email with UPS in there is Track & Trace information to track the package. 3.4 On which days can I expect my order? Orders are delivered from Monday / Friday. If you order from Monday / Thursday, you recieve your package the next day, under the condition that everthing is in stock. When you order on Friday, the package is normally delivered on Monday. If you order on Saturday or Sunday, the package is normally delivered on Tuesday. 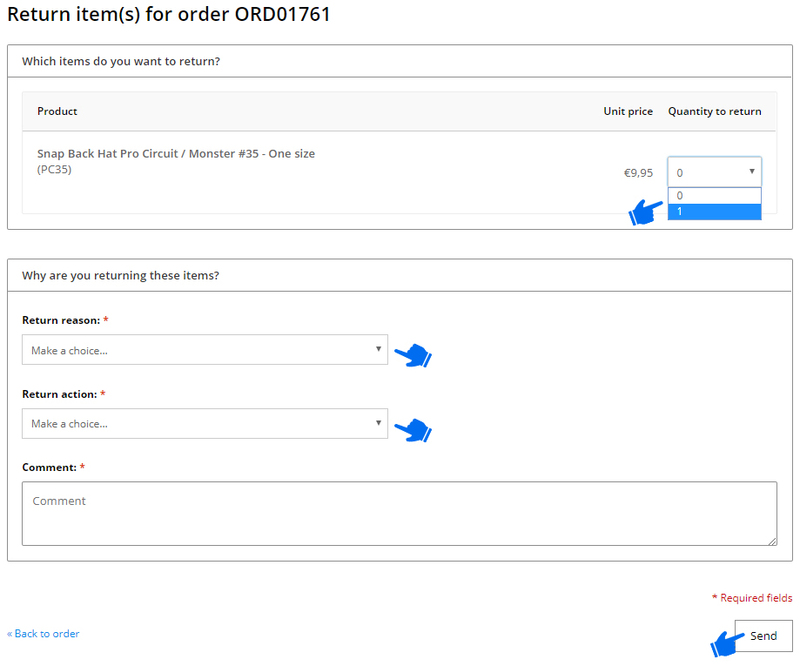 4.1 How can i return an order or article ? You can send an oder or article back within 14 days. Step 2: Click on "My orders"
Step 4: Click on "Return item(s)"
Step 5: Slecht the items you want to return and fill in the other forms. We will contact you to inform how to return te products. If you don't have an account on our website, contact us by Email info@mx-limburg.com just send us a message with the order number and the parts you would like to return.